"Sciatica" is an older term describing the symptoms of inflammation of the sciatic nerve, also known as sciatic neuritis. Sciatica involves radiating pain down the back of one lower extremity, usually including the back of the thigh and back of the calf, possibly extending into the foot. Sciatica pain may be described as sharp, shooting, gnawing, and/or burning, and may be accompanied by numbness and tingling. Intensity may range from mild to severe and frequency may range from occasional to constant. The onset is generally gradual and not necessarily associated with a precipitating event. When lower back pain is accompanied by radiating lower extremity pain, it is useful to attempt to assess the relative distributions of such pain. 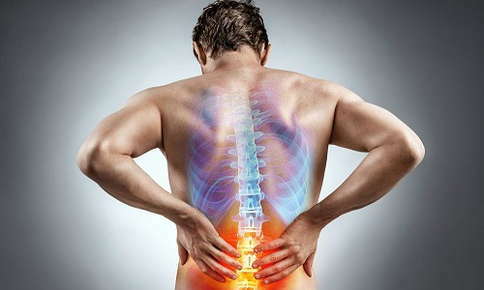 If low back pain predominates or low back pain and sciatica pain are fairly equal in distribution (approximately 50% of the pain is in the low back and approximately 50% of the pain is in the lower extremity), then the sciatica pain may likely be caused by mechanical dysfunction in the low back. If sciatica is associated with a herniated disc, then leg and buttock pain will be the dominant symptom, compared with low back pain. In the case of a herniated disc, there may also be leg muscle weakness and diminished sensation in the affected leg. Pain that radiates only to the buttock and thigh is probably not related to irritation of the sciatic nerve, but rather to mechanical disorders of the low back and/or sacroiliac joint. In addition to in-office care, your chiropractor may recommend the use of ice applications and stretching/exercise to assist in managing sciatica pain. An ice pack or plastic bag filled with ice cubes may be applied to the lower back for 15 minutes every few hours to help reduce associated muscle pain, muscle spasm, and sciatic nerve inflammation. Importantly, ice applications should always be wrapped in a thin towel so as to avoid placing the cold pack directly on the skin. Gentle stretching for the quadriceps, hamstrings, and calf muscles will assist in restoring optimal biomechanical functioning to both the trunk and the legs. Gentle exercise, including walking and riding a stationary bike, will similarly assist in the process of recovery. Overall, your chiropractor is your go-to resource and the best manager of the range of natural remedies to help resolve sciatica pain.